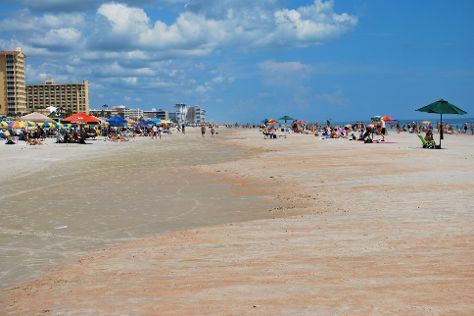 You'll explore the less-touristy side of things at Beach at Daytona Beach and Stetson Mansion. Explore Orlando's surroundings by going to Cocoa Beach (in Cocoa Beach), Crystal River (Stand-Up Paddleboarding & Scuba & Snorkeling) and Daytona International Speedway (in Daytona Beach). Next up on the itinerary: discover the magic at Disney's Blizzard Beach Water Park, get some fabulous bargains at Orlando Premium Outlets - Vineland Avenue, stop by World of Disney, and enjoy breathtaking views from ICON Orlando. To see reviews, maps, photos, and tourist information, go to the Orlando trip planner. In November, daytime highs in Orlando are 78°F, while nighttime lows are 62°F. Wrap up your sightseeing on the 27th (Tue) to allow time to travel back home.